Myra Ovalle is your average typical girl. She loves to read. Her favorite types of books are historical fiction, biblical fiction and action adventure fiction. She would love to share her love of books and all the wonderful books she have read with you. 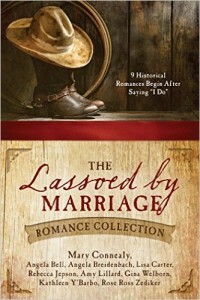 Lassoed by Marriage is a collection of short stories about unwilling marriage. 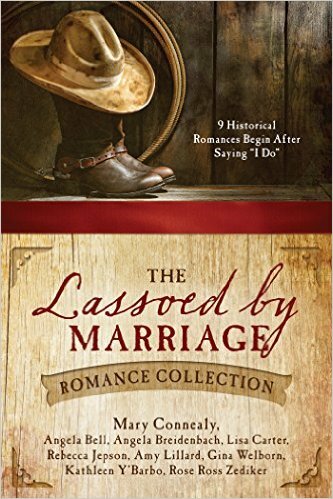 Start a journey with all the characters that start off in a situation that forces them into marriage. Walk with them as they try to overcome obstacles and try to start a relationship. See them try to overcome their fears and reservations and strive to help better their relationship. Follow Cynthia and Lord Elliot Carlyle struggle to get past her sister’s deceptions and work to make their marriage work. 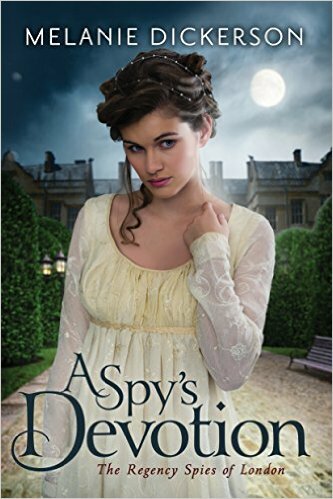 Observe Katie as she strives to keep her son by marrying George her son’s uncle. See as she fights to break the stigma that follows her as she is the mother of a illegitimate son. Root for Penny as she fights to keep her family’s land by marrying a prisoner. Watch her try to teach her husband forgiveness for past wrongs done to him. Watch Coral and Hiram try to break the family feud despite being virtually forced to marry each other. Witness as a lord without title preform act of mercy as he rescues a widow and her land from people that threaten her. But both have secrets they are keeping from each other will they drive them apart or bring them together. Notice as a new minister offers sanctuary to Molly who was in a desperate situation. But will her outlaw brother drive the m apart? Laugh at Hattie’s antics that land her married to the town sheriff. Watch Maila fight to free herself and her husband from Rose the first wife. Observe as Tanner discover Debba after 4 years of isolation. This book is filled with so many different elements its impossible to get bored. C an two people who seemed to be destined to be apart work together to stop a traitorous plot? 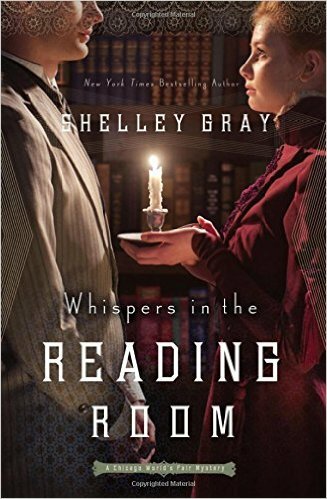 Julia Grey is an orphan that grew up in the charity of her uncle’s home. Growing up in upper society she was never let forget that fact she was not up in the social class. With a small dowry her hopes of landing a good match are slim. She and Phoebe her cousins have grown up as close as sisters, so when Phoebe is enamored with Nicholas Langdon and asks Julia’s help to land him she willingly agrees. Nicholas Langdon is a second son who needs to marry someone with a good dowry. Back from the army due to an injury he tries to fulfill a promise to a dying man to deliver his diary to someone at the War Office. When he gets mugged and the journal stolen he gets pulled in to the spy game. After being brought up to date his mission is to get as close as possible to Robert Wilhern who is suspected of treason. Using Phoebe as his way in, he meets Julia Grey who captures his attention and feelings. Having been burned by his past fiancé who left him for a much older richer man he decides to be cautious. Julia is trying her best to get Nicholas to notice Phoebe but soon realizes that she has growing feelings for him. After being continuously reminded by her aunt and uncle that she is the poor relation and should stay away from Nicholas she starts to see things more clearly. So when Nicholas reveals that he is a spy and asks for her help she agrees. As danger mounts and sparks fly will they be able to stop a traitorous plot and figure out their feelings? This book was very hard to put down. It had mystery intrigue at every flip of the page. 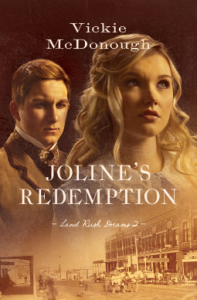 Can a woman who has fallen so low receive redemption and leave her past behind? Two years after running away from her sister’s Lara house Joline has fallen deep. After her husband’s betrayal she falls into the hands of an abusive controlling man. The threat of her son being taken away from her makes her brave enough to run away from him with a young Indian girl. After narrowly escaping they take refuge at their sister’s house. Surprised at the welcome she receives she decides to stay a few weeks then continue running. She decides to keep the secrets of her past to herself. After running in with her husband’s brother she gets a job at the store she used to run with her former husband. A few close calls with the man she is running from she decides to leave again. Blind to the concern of her family, her husband’s brother, and the redeeming love of God Joline tries to figure it all out on her own. Will she let her family help her? Will she open her heart to love again? But most importantly will she let the loving grace of god redeem her? I loved this book. I also was intrigued and could not put this book down. I would recommend this book to anyone who likes historical fiction. This book demonstrates the love and grace of god clearly. It shows that no matter how low you fall or how bad your past gods lave can redeem you. He does not see your past and accepts you as are. I look forward to reading the rest of the series.